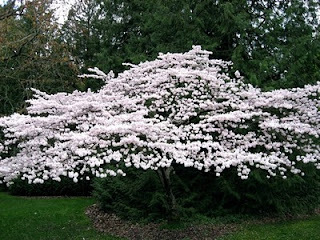 A friend and I went for a " tree walk" yesterday morning at the Washington Park Arboretum in Seattle. We walked the length of Azalea Way, which, within a few weeks, will feature wave after wave of azaleas and rhododendrons in bloom. 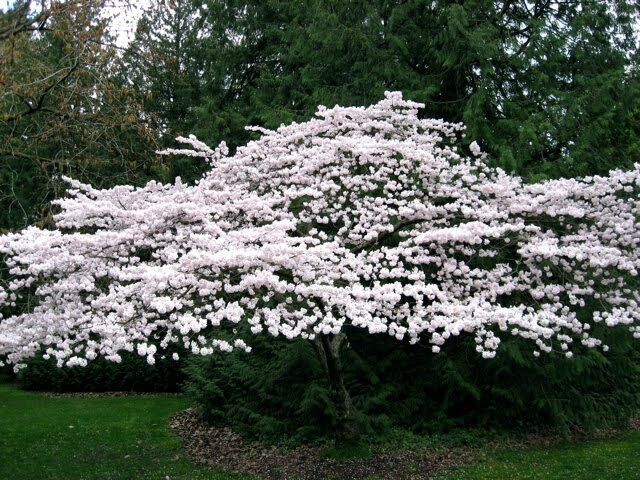 Right now, however, the cherries and magnolias are putting on the show. It was cloudy yesterday, but the pale blossoms of this weeping cherry brightened up the landscape. 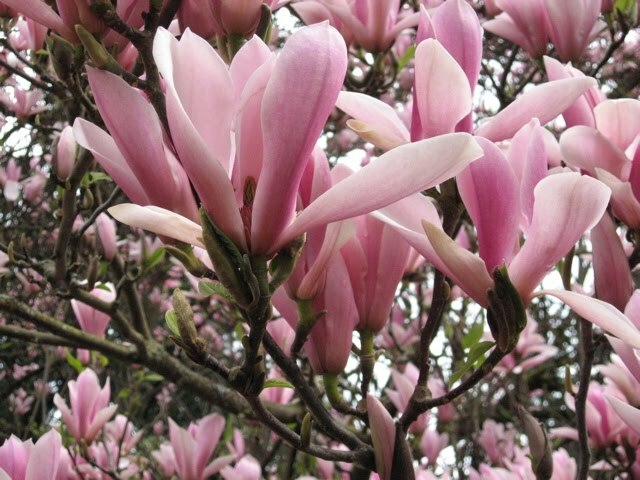 This stunning magnolia stopped us in our tracks. 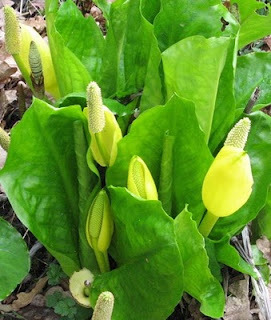 Spotting this patch of skunk cabbage was a surprise. The best part of the surprise was that there was no odor! At first, I wasn't sure it was really skunk cabbage. I can usually smell this plant a long time before I see it. Cloudiness seems to heighten the contrast between light and shadow, making the canopy of this cherry tree appear to float. 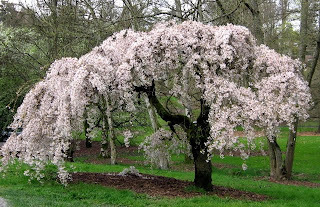 I was at the adjacent Japanese Garden a week ago and noticed that the cherry trees had not yet bloomed. The buds were still pretty tight. I expect them to be showing color in the next week or so, if the weather remains mild. 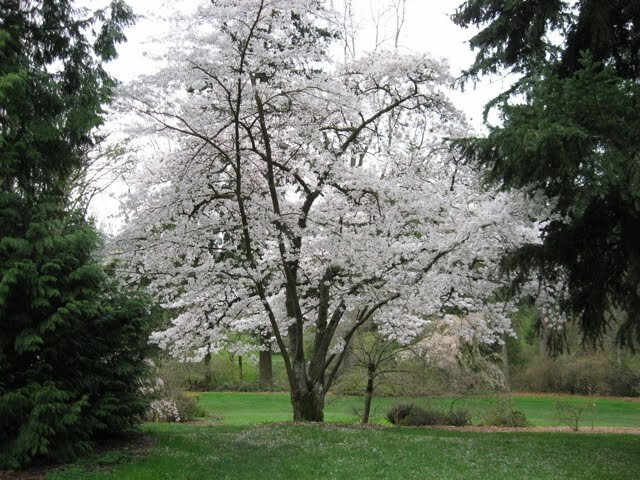 In the meantime, if you are in the Seattle area, there's lots to enjoy at the Arboretum, and a big show to look forward to on Azalea Way when the rhodies bloom.